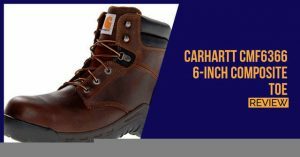 Construction shoes are designed to give you great comfort and protection from the environment you work in and while there are multiple cases of people getting hurt on the job, a great shoe can also reduce the chances of this happening. Having a comfortable shoe also enables you to increase your productivity and work much better. 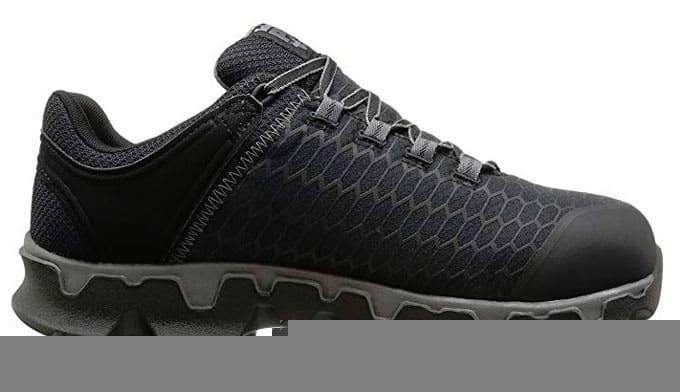 We have decided to try out the Timberland PRO Men’s Powertrain Sports Alloy Toe EH Industrial and Construction Shoe and put it through multiple different tests to see if it holds up to the promises and will give you the best comfort. 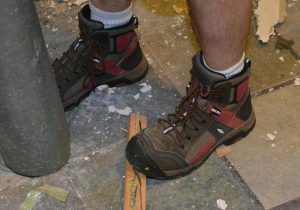 In this article, you will find out exactly how this shoe operates and whether or not it is the right shoe for your job. While you might still be stuck in the past with your steel toe, or perhaps you have upgraded to a composite toe, the alloy toe is designed to give you great protection, while also keeping the weight of the shoe down. It is great for electrical hazards and should enable you to comfortably move about in these areas. With an alloy toe shoe, you might pay a little bit extra, but you will have much more versatility to work with and doing your job should be a breeze. The alloy toe shoes are generally a little more modern in terms of the design and this extra style means that they can be worn outside during your everyday job as well. With the durability, we are off to a shaky start and while this shoe is not the most durable on the market, it certainly looks good. The shoe is constructed from ripstop nylon and features a synthetic sole for you to walk on. The ripstop nylon provides you with breathability and this also makes the shoe moldable to your feet. If you have a flatter and wider foot, your feet will be able to push out to the sides without any hassles and this could cause more comfort and space. However, it also puts additional strain on the materials and you might find it starting to wear much faster on these sides. Ultimately, it means you will have to buy the shoes more often than not. As we have already mentioned, protection is paramount and while it might not keep the water out, it will definitely keep your toes protected if something heavy should drop onto them. The shoes are designed to protect you from falling object and electrical shocks, but it lacks ankle protection. It features a low-cut design that might allow ankles twists and turns. While the protection is still debatable depending on your job, the shoe is certainly lightweight and should not cause a ton of fatigue to set in. They are ideal for wearing the entire day and they should enable you to work harder and even move around much better. 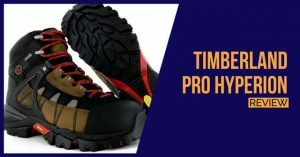 Any shoe used for construction or working purposes should have some level of support and Timberland PRO has certainly gone beyond with this shoe. It includes a decent fiberglass shank and this shank is extremely lightweight, only rivaled by the nylon shank. However, it is much stronger and offers a little more support to keep you on your feet for longer. The inner sole is made from EVA and this includes anti-fatigue technology to keep you going. It also molds to the shape of your feet, which means that it should be ideal for those suffering from pronation and supination. If you struggle with any foot problems leading to quick fatigue, this shoe will give you the needed support. The grip is certainly not the most prominent feature on this shoe, but it is still decent for those extremely slippery situations. While it might not be ideal for ice, it will keep you from slipping in water and small oil spills. The outer sole is constructed from synthetic materials and while this does lack some durability, the large lug patterns will ensure that slipping in the factory is now a thing of the past. However, we did test it on the ice and it does not hold up well. The outer sole will get wet and the water will freeze, meaning that even if you return to a normal surface, the outer sole will still be quite slippery to work with. The shoe includes multiple extra features that you could use to your own advantage. These features include the breathable outer mish materials and the inner lining. These two will keep the shoes from heating up and evacuate any potential moisture that might build up inside. Additionally, the shoes include anti-odor properties to reduce the chances of having odors build up inside the shoe if you wear them often. The design can also be seen as an added feature and it is stylish enough for you to wear outside and with any wardrobe. The black color blends with most work clothing and we believe it should be a versatile shoe that can be used in many factory settings and jobs. Comfort, safety, and style are all caught up and blended into this shoe, but it does have a couple of drawbacks. The shoe will be ideal for many situations and the price is not too heavy either, but the lack of durability might be quite troublesome to some buyers. In our tests, the shoes did not shoe much weakness, but you can feel the materials wanting to give in after some time. We would recommend this shoe for the factory and for lower level construction jobs. As you enter more dangerous working areas, you might be better off with a full-sized boot.